Bring the family down and join in some good ol' fashioned fun on Tuesday, July 4th for the “Down Home 4th of July Celebration and Heritage Day” festivities! ​The Kids 'n Pets Parade kicks off the day at 11 am. ​Register for the Parade online or pick a form and submit it to the Visitors Information Center - 155 NW Gilman Blvd. Issaquah. 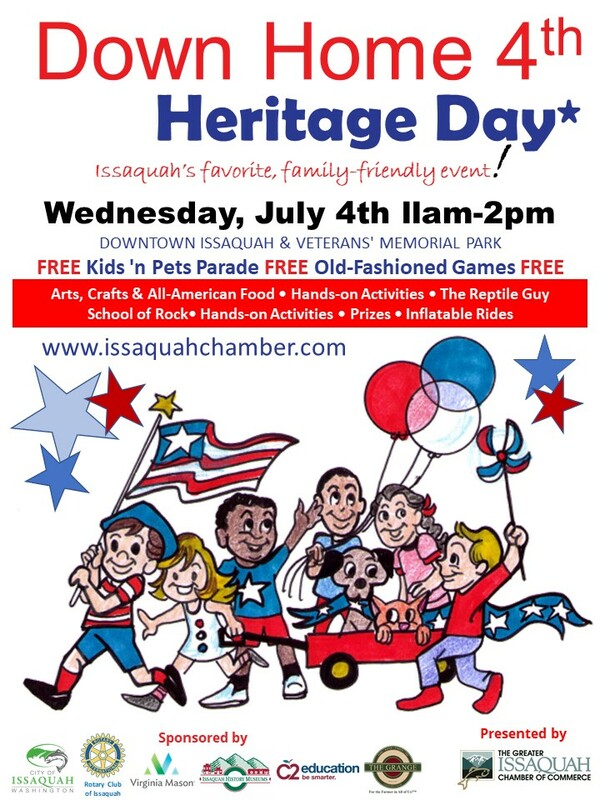 The day-of registration for the parade begins at 10 am and takes place at the Holt Building, 425 Rainier Blvd N.
​Visit www.issaquahchamber.com/downhome4th for more information!